It was a pretty rubbish evening earlier. Bit surprised to step out at 11pm to find one of the clearest nights Ive seen in a long time. Too tired to haul out a lot of kit so I just looked up and enjoyed the view with just a pair of Canon 10×30 IS binoculars for company. It was so clear that I could spot Andromeda naked eye, which is certainly exceptional for Limavady! Jupiter (and 1 moon) was extremely bright – there was no Moon. Thanks to the clock moving back, my favourite winter constellation, Orion is now visible again. I used the binoculars and could see 2 of the O class Trapezium stars at the heart of the Orion nebula and surprisingly, had no difficulty identifying one of my favourite open clusters, NGC 1981, just above the Sword of Orion. Ive had difficulty in the past spotting this with 20×80 binoculars, never mind 10×30! A quick run through: Pleiades, Hyades, Betelgeuse, Rigel, Castor, Pollux, Cassiopeia, Auriga and Capella, Alpha persei moving cluster, Andromeda galaxy, Polaris and the Great Bear. To cap the evening off, I saw 3 very impressive meteors: 2 coincidentals and 1 Orionid meteor. Well, if the weather keeps up, I think I’ll find a lot to keep me interested in the next while! 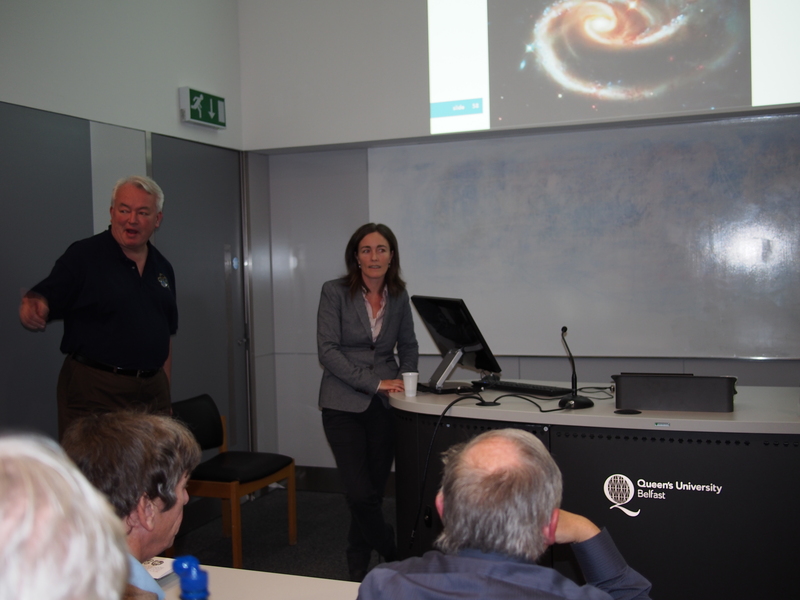 “Exploring the Cosmos.’ The View from Hubble and Beyond”. A nice clear night. 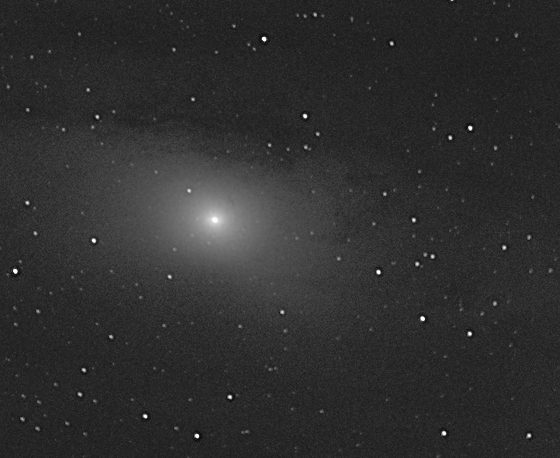 Thought I would try to image Andromeda galaxy with the Altair 80mm refractor. 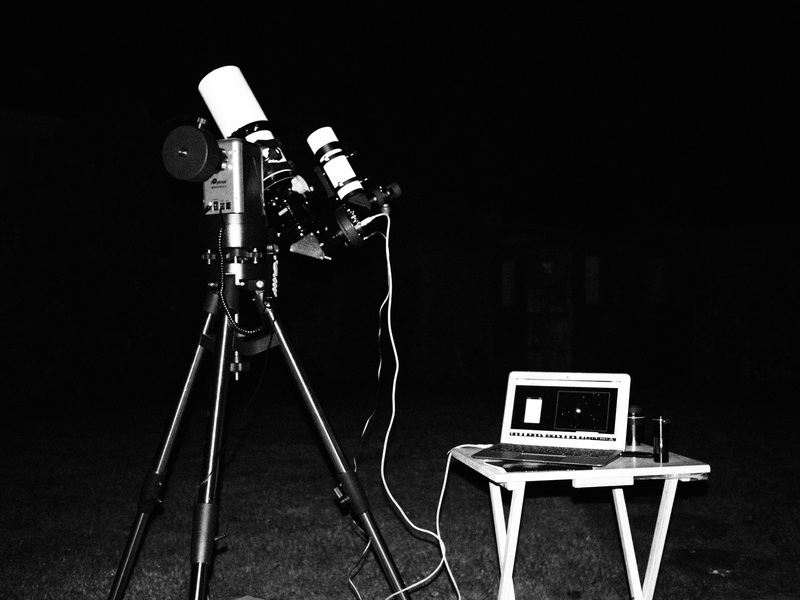 This is the full set up with Refractor, 10x60mm Finder scope. CCD camera attached to MacBook Air. 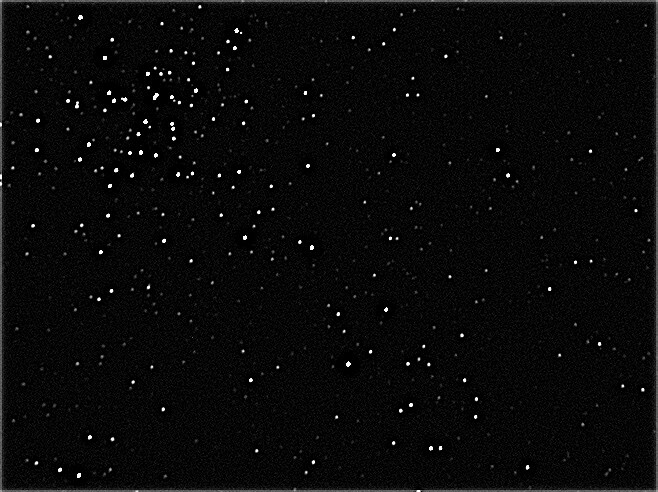 My ATIK Titan has quite a small field of view, so the image below really just shows the galactic core. there was just a faint hint of nebulosity and dust lanes in the image until I ran it through PixInsight which brought out these features quite well. I would probably need DSLR imaging to see all of the galaxy. there have been some standout moments in astronomy for me such as seeing M51, the Whirlpool galaxy for the first time or my first globular cluster but I think it is amazing that I can identify globular clusters in orbit around another galaxy from my back yard in Limavady! My second night out with the Altair Wave series 80mm refractor along with the ATIK Titan CCD camera. It was a beautifully clear night with Auriga, Pegasus, Cassiopeia, Perseus, Taurus, Gemini and Jupiter all visible and quite a considerable Milky Way. 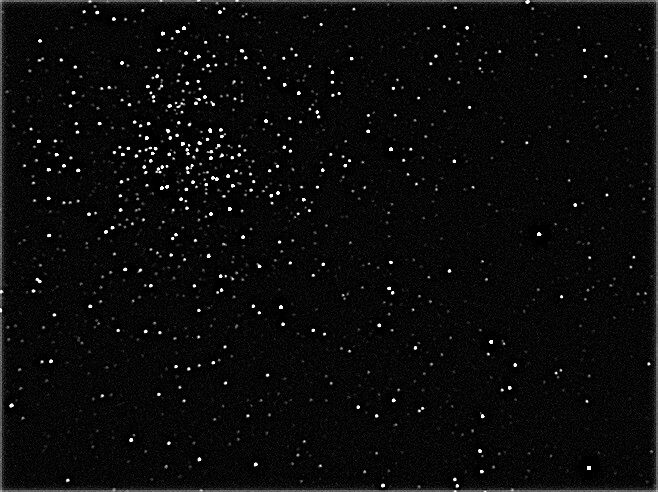 Im still learning my way with CCD astrophotography, so I thought stellar open clusters would be a reasonable goal. 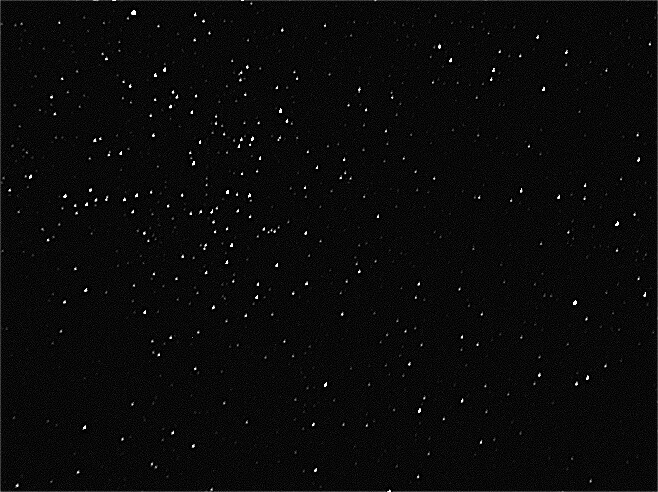 there are 3 such clusters in Auriga, M36, M37 and M38. Zoe and Conan came out to help and look at the stars with me. These were all single 15-30 second exposures, processed in Registax 6.